Titles on offer will include games like 'Siberian Wolf, "The Legendary Red Dragon" and "Wildcano", the first slot in the industry with Orbital ReelsTM. 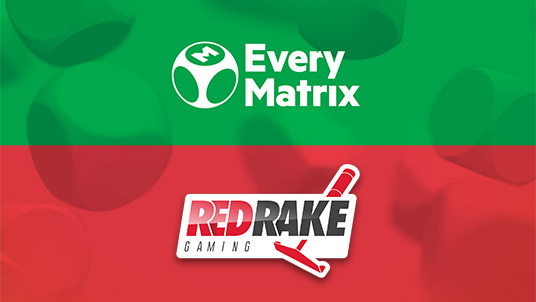 Carlos Fernández, Head of Business Development of Red Rake Gaming, commented on the deal, "We have come a long way in a short time and our agreement with EveryMatrix is a milestone for our company. EveryMatrix is one of the most recognised and reputable provider in the industry and we are sure all their customers are going to enjoy our games greatly". CasinoEngine is the largest and foremost casino gaming aggregator in the industry. With a single integration, operators can gain access to a continuously growing library of close to 5,000 casino games from over 60 game providers seamlessly integrated into a single casino lobby & wallet.